يوفر فندق Quest Palmerston North Hotel ظروف إقامة راقية وهو خيار رائج للسياح ولرجال الأعمال أيضاً. يقع في منطقة تسوق, الأعمال, مطاعم من بالمرستون نورث. يمكن من هنا للضيوف الاستمتاع بسهولة الوصول إلى كل ما تقدمه هذه المدينة النابضة بالحياة. 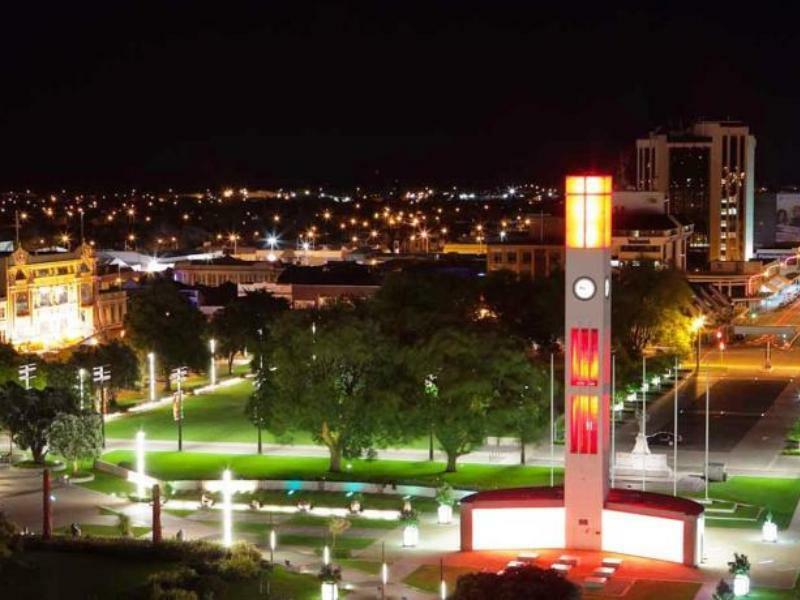 إن سهولة الوصول من الفندق إلى المعالم السياحية الشهيرة الكثيرة في المدينة كمثل ‪Palmerston North Clock Tower‬, Square Edge Community Arts Centre, The Plaza هو استثنائي بحد ذاته. إن الخدمات الممتازة وحسن الضيافة العالي في Quest Palmerston North Hotel تجعل إقامتك تجربة لا تنسى. إن مرافق مخصصة لذوي الاحتياجات الخاصة, تخزين الأمتعة, خدمة صف السيارات, صف السيارات, رعاية أطفال هي جزء فقط من الخدمات التي تميز Quest Palmerston North Hotel عن باقي الفنادق في المدينة. تنعكس أجواء Quest Palmerston North Hotel في غرف الضيوف.سجاد, بياضات, مرآة, صوفا, مناشف هي بعض الميزات الموجود في العديد من الغرف. كما أن مجموعة الخدمات الواسعة الموجودة في الفندق لضمان راحتك تترك لك الكثير من الخيارات لقضاء وقتك أثناء فترة إقامتك. إن Quest Palmerston North Hotel هو خيار ذكي بالنسبة للمسافرين إلى بالمرستون نورث، بما يوفره من إقامة هادئة ومرحة. Clean and bright apartment, good security and close to The Square. 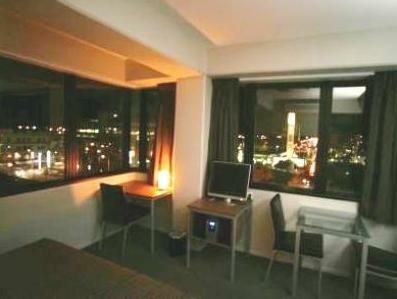 Great central location for a convenient stay near local shops and cafes. The kebab shop next door have the best kebabs for a fast food option. love it, its in the city centre walking distance to evrything. nice room very clean except for the TV small and out dated. but overall its awesome place to stay. 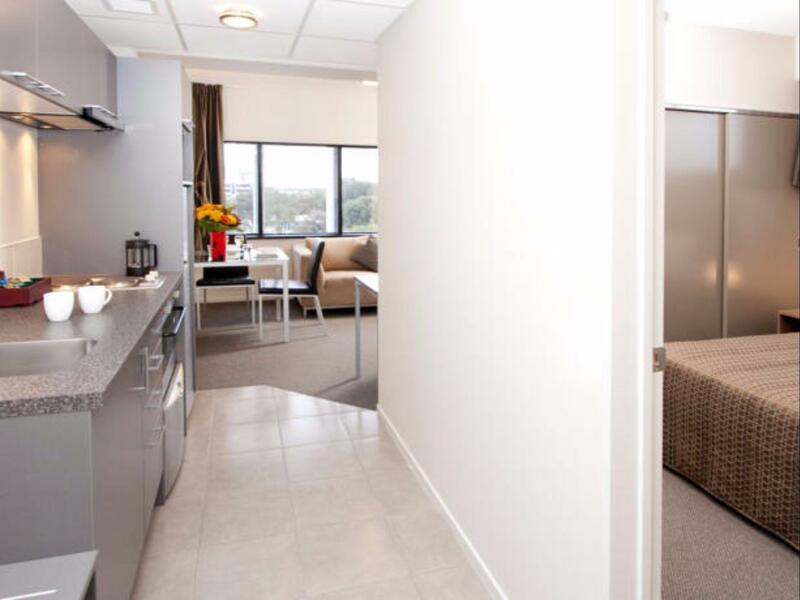 Of all the hotels that we stayed during our one week travel in NZ, this apartment was surprisingly the BEST among the lot even against more established hotel chains. The reception was done quick and pleasant. Apartment was well equipped including washer & dryer and full kitchen amenities. I especially like the shower which is hand handled, with strong water pressure. The only minus I can think of is the basement car park which is extremely narrow for cars to manoeuvre. Car park rate was NZD15 per night which is reasonable unless you wish to park at curb side just outside the hotel. Was okay for a couple of days.Location was great but was excessive paying for parking as the parking bays were tiny and barely able to be used.I wouldn't complain if they were complimentary.The 1 bedroom apartments were very small but clean.Would stay again as the price was not to bad. Fantastic stay a nice staff and friendly the room has almost everything you can use in your own house just great. A new huge mall just right behind the hotel and I believe its the only available modern shopping mall in the middle of a new Zealand. definitely I would stay again at the Quest Palmerston if I ever go back to Palmerton city. Very pleasant stay. Parking could be a challenge on weekdays. Great views from my corner room looking out to the hills. My wife had to stay at the hotel during the day while I was out and she is very happy I chose that hotel. Our stay was brief but pleasant. We did have difficulty with opening the door to the car park building as the remote symbols did not reflect their intended actions. Very good and a wonderfully relaxing time. Great stay. A pity there is no internet supplied with room in a hotel of this standard.